You find the home. We find the best home loan. Let ooba ‘shop around’ for the best deal on your home loan and provide you with quotes to compare. 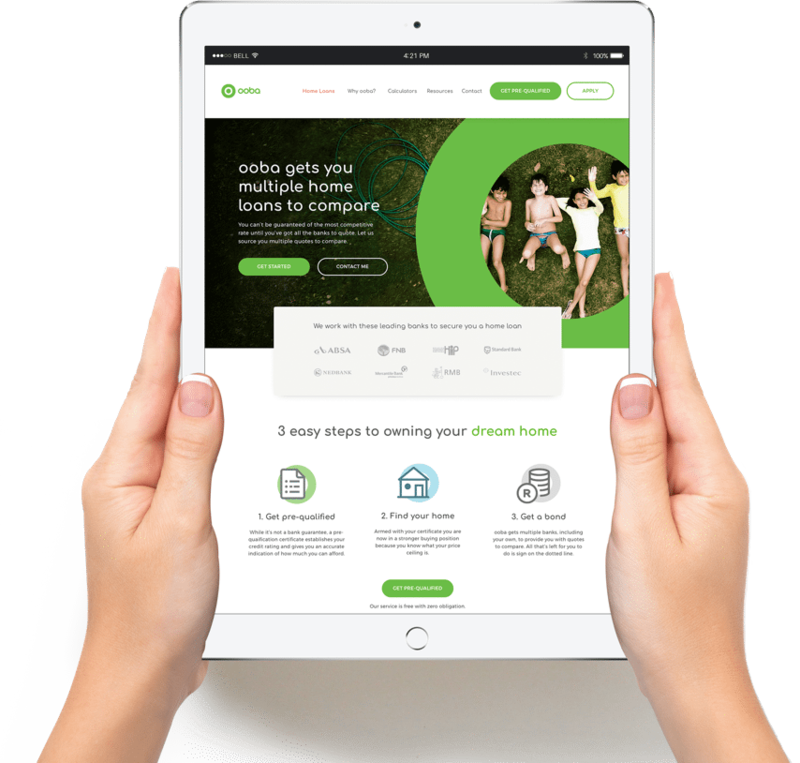 By using ooba you are 36% more likely to get your home loan approved than by just applying to your bank. We will help you complete one application form which can be submitted to all banks. We will apply to multiple banks including your own with only one application. We will provide you with multiple quotes to compare. We will negotiate rate & terms where necessary. We will help you secure a zero deposit bond if required. Request a call to have one of our experts help get you started.